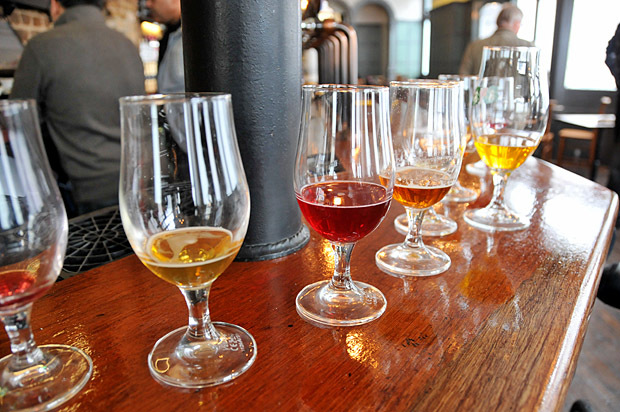 There’s a new real ale bar coming to Brixton – and I was lucky enough to be invited for a pre-opening preview (and to try out some of the delicious beers and ciders on offer). 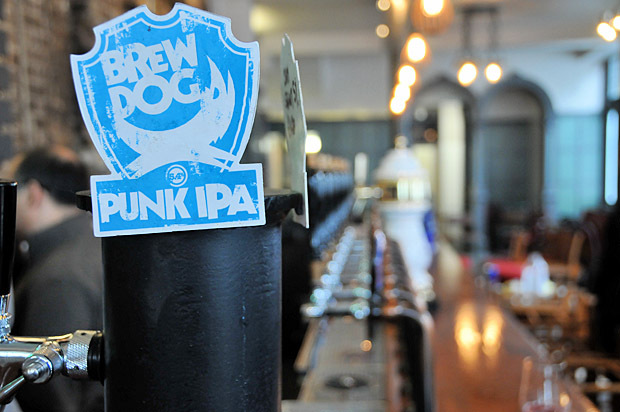 The pub officially opens tomorrow at 5pm. 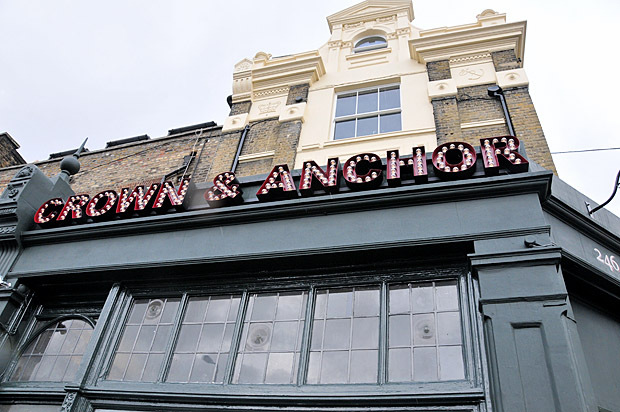 The Crown and Anchor is situated close to JAMM on Brixton Road and anyone looking for a trendy style bar or a lifestyle-defining music destination with superstar DJs can jog on: this place is really only interested in one thing, and that’s beer. Lots of the stuff. 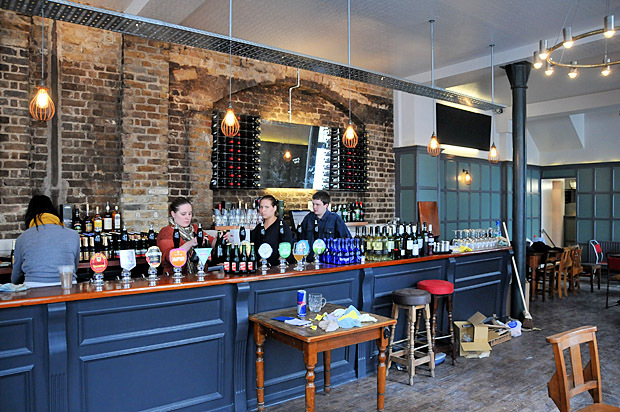 Set up by the team behind Stoke Newington’s legendary Jolly Butchers boozer, the pub will serve up no less than 24 beers on tap, with seven real ales and three ciders on hand pumps. 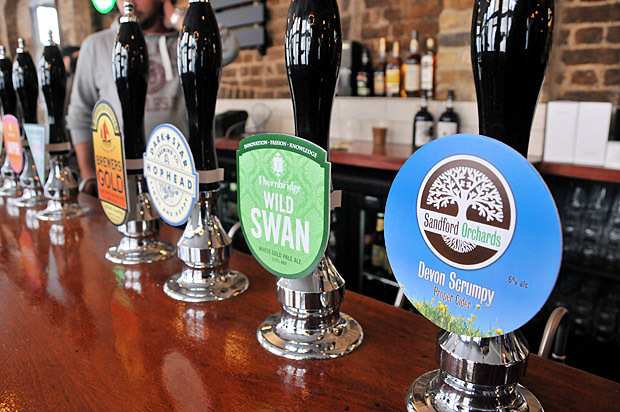 The pub will offer an ever-changing selection of carefully selected ales – expect to see at least one new ale almost daily – with prices starting at around £3.30 a pint (not as cheap as big brewery pubs, but then you’ll be getting properly looked-after ales here). 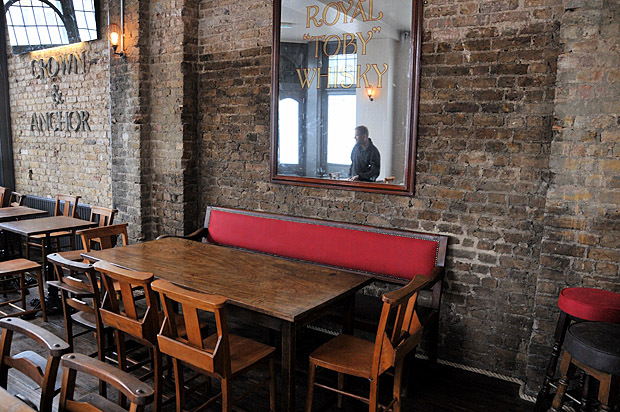 There’ll also be offering pub grub shortly after opening, with the accent on “hearty pub fare that goes well with beer,” so expect bangers and mash, veggie platters and lots of sharing plates, as well as tea and coffee, if you must. 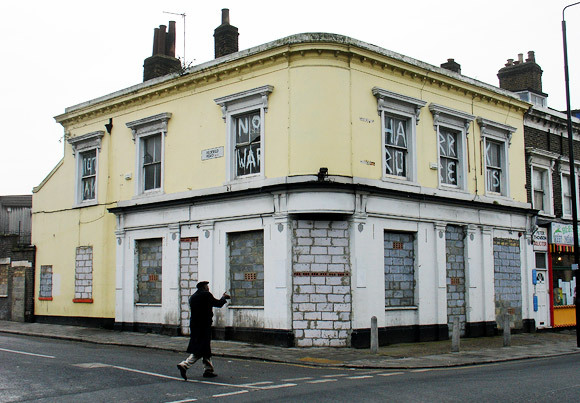 It’s great to see this old boozer coming back to life – many suspected that it was set to join our depressingly long list detailing the Lost Pubs of Brixton. 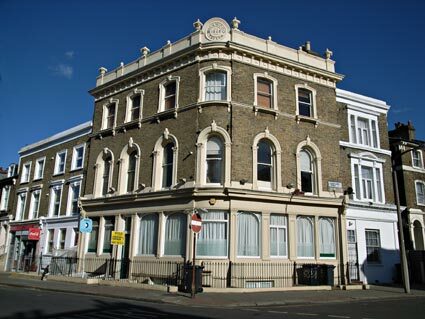 The pub has rather an unusual claim to fame too: according to the Daily Herald’s Archive, it was the scene of the ‘first rock n roll club in Britain’, with club nights taking place in the mid fifties. 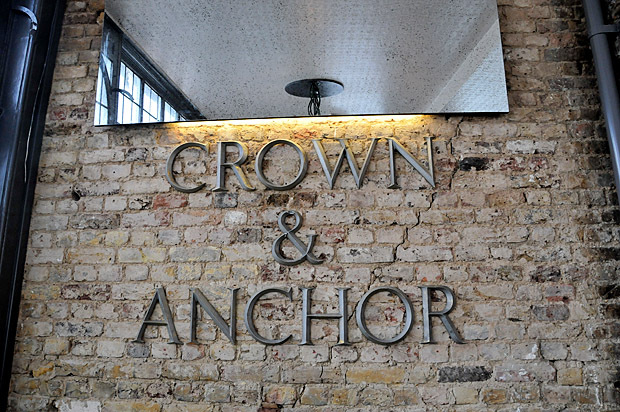 Check out our Crown and Anchor feature for more. 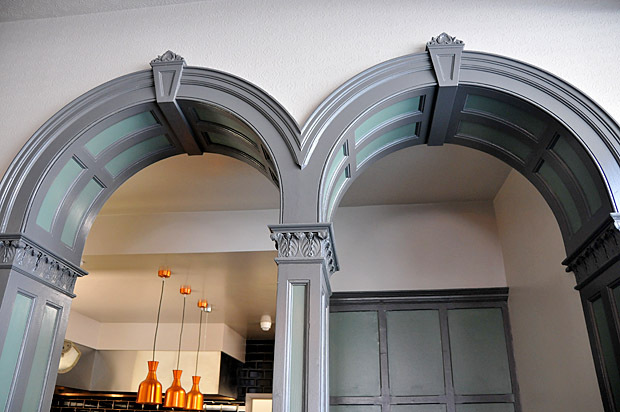 The new owners have made some effort to retain original features. It’s looking very smart inside. 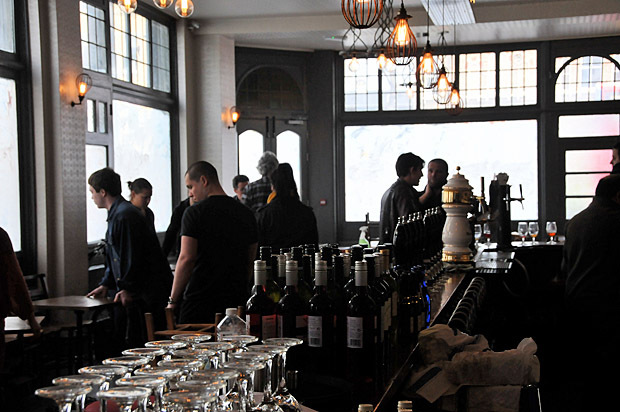 A look along the bar towards the entrance – as you can see, folks were still busy getting the pub ready for the official opening tomorrow. 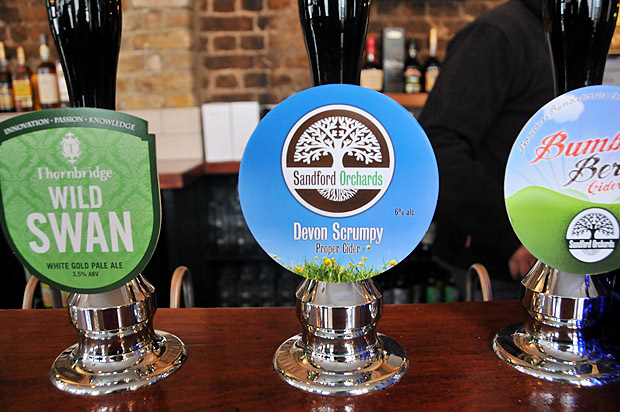 A proper London ale! 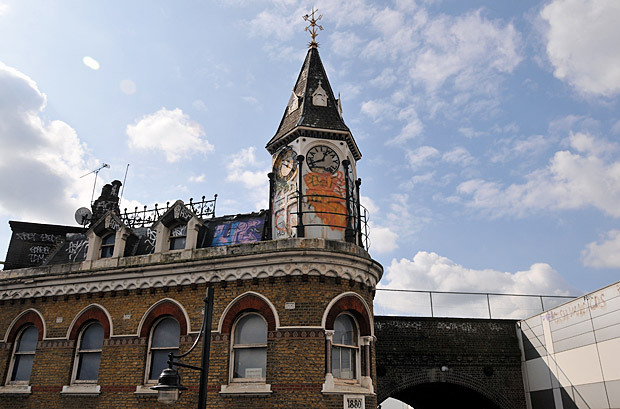 The Kernel Brewery is situated just a few miles from the Crown and Anchor, in Southwark. 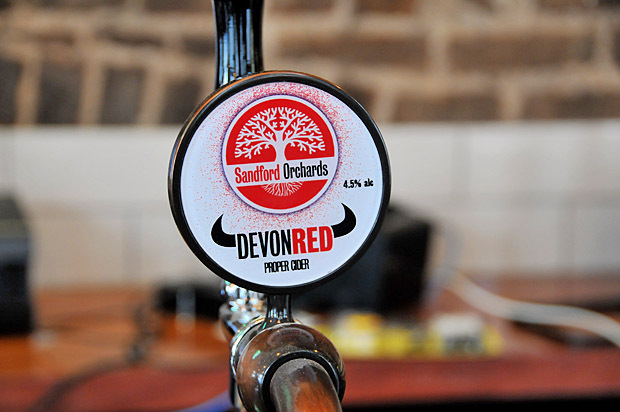 I don’t think I need to tell you how good these ales and ciders are. 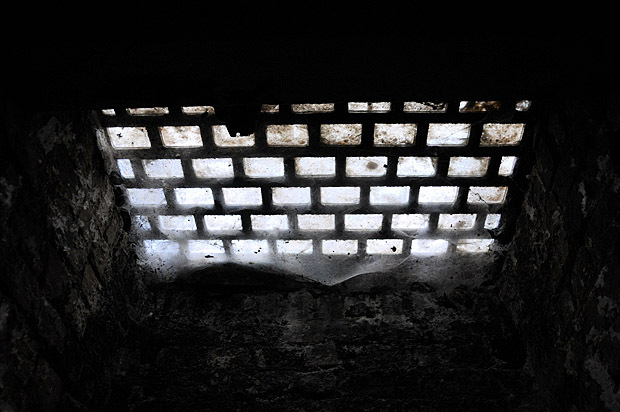 Looking up from a disused part of the pub’s cellar. 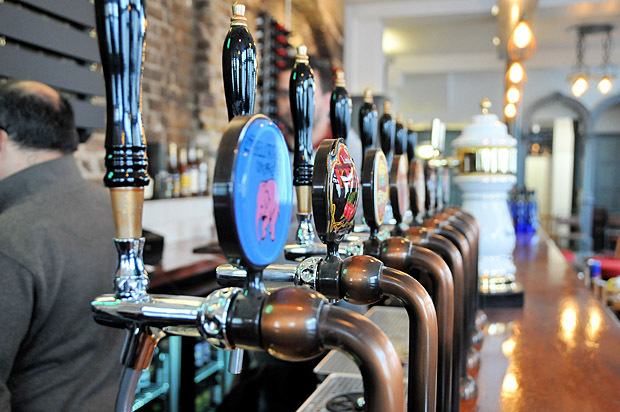 Staff being trained up in readiness for the opening tomorrow. 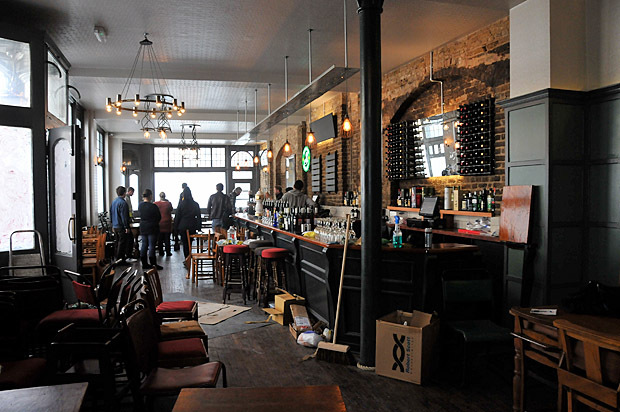 The pub is very much a traditional affair, so there’ll be no massive TV screens blaring out Sky Sports. The aftermath of my testing session. I’ll be back for more! 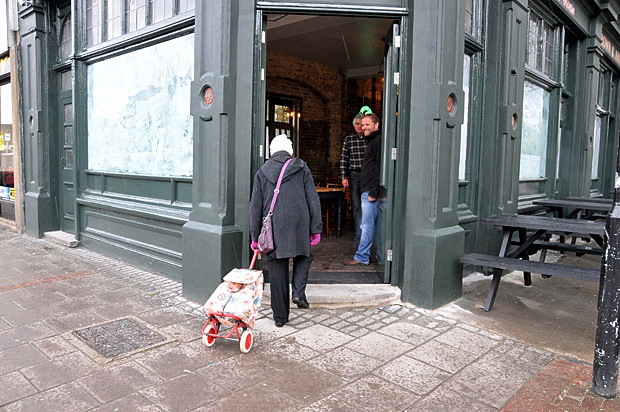 The windows were being cleaned when I was there, but the pub should benefit from lots of natural light. A customer arrives a little early! 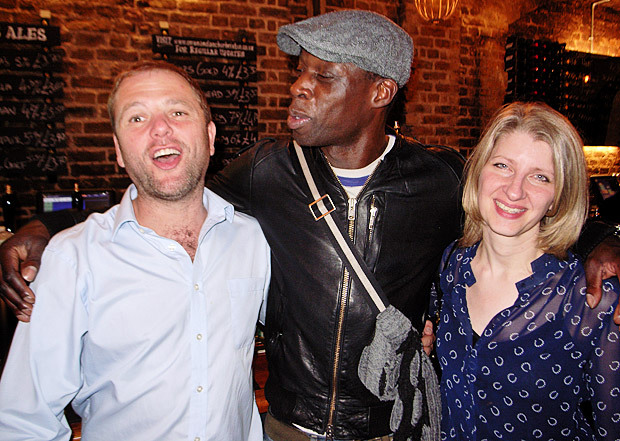 Talk about the pub on the urban75 forums. 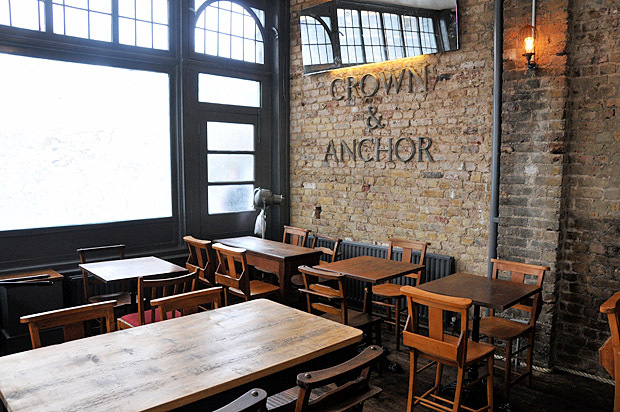 Crown & Anchor launches in a real ale frenzy, Brixton Road, Brixton The Craft Beer Company Bar, Brixton Station Road, Brixton – review The Crown (Mucky Duck), 201 Coldharbour Lane SW9 awaits its fate Photos from the Brixton Effra Social launch party – Tories, rock’n’roll and real ale Brixton landmarks: the Brady’s clock tower, Atlantic Road. Brixton, London SW9 Brixton Beer debuts at the East Dulwich Beer Festival, south London Another lost Brixton pub Brixton Station Road/Pope’s Road car park – flattened! 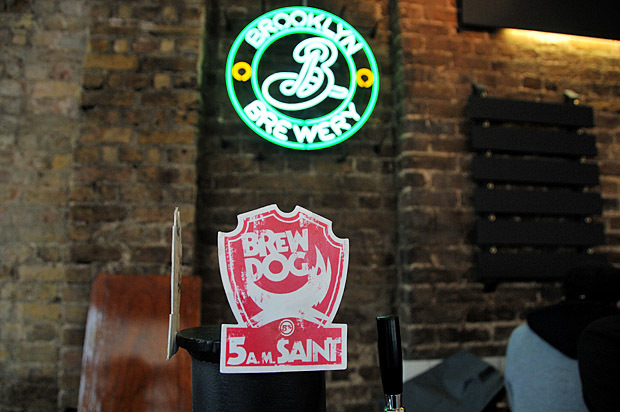 Very exciting, Brixton needs a quality beer perveyor, there’s only so much red stripe this middle aged lump can stomach. 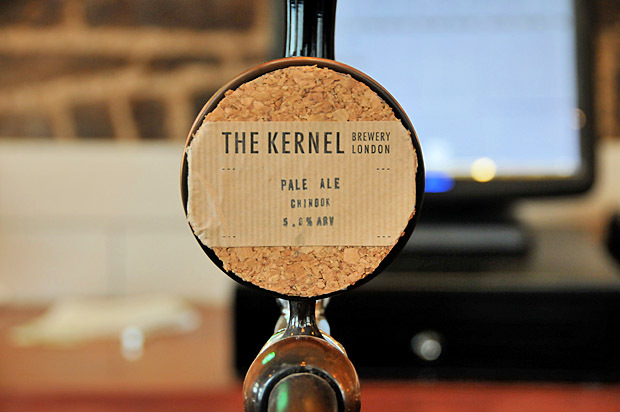 Kernel, Dark Star, Brew Dog! Great news! 5 minutes from my house, this place used to give me the chills when I walked past. 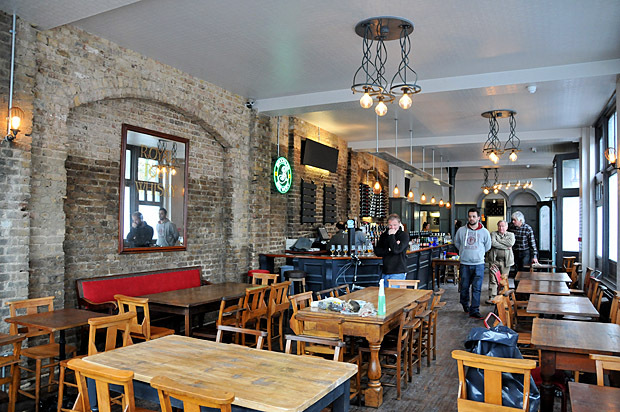 Great to finally have a local this end of Brixton Road! So excited about this, going to be great, will be coming by tomorrow to check it out! 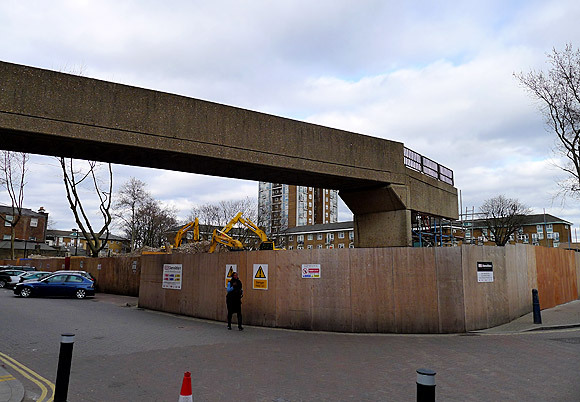 Will this replace the Albert as Urban’s spiritual home I wonder. Be interested to hear what the prices are like.. 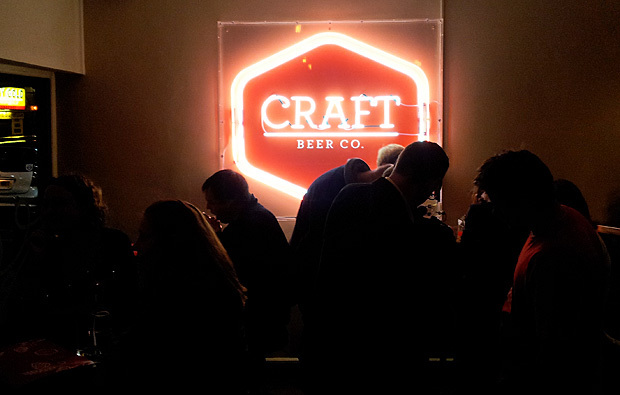 Dropped in on opening night… Fantastic selection of beers… When the kitchen is open it will be right up there with the Jolly Butchers. 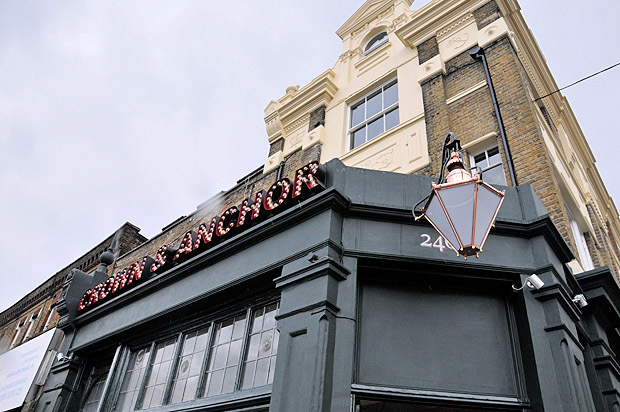 Brilliant traditional pub and a fantastic addition for Brixton or any where else.. It’s only 4 stops down the Victoria line from Green Park … Guy Rotchie eat your heart out! Bar Staff unknowledgable and not beer drinkers. 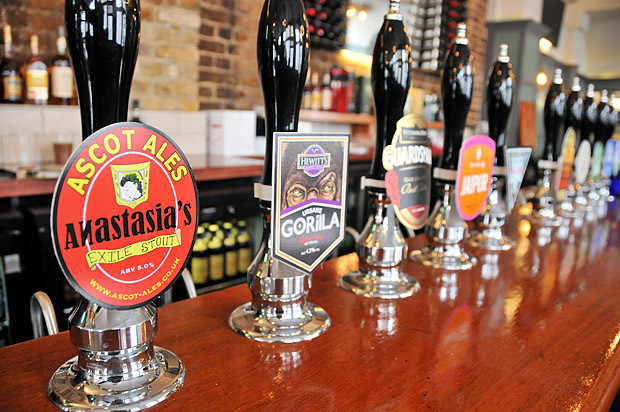 Go to the Euston tap or cask bar in Pimlico who are doing the cask beer bar properly. 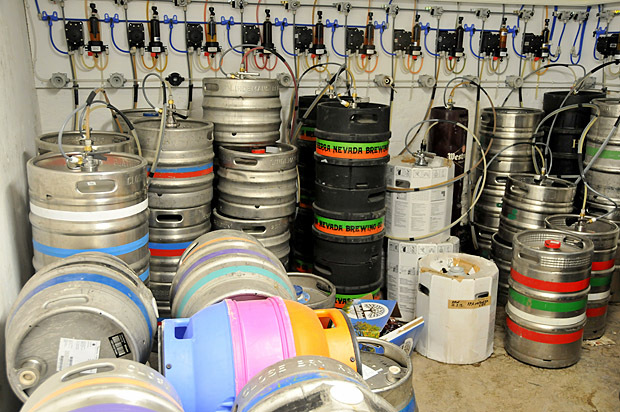 Due to pay you a visit on Saturday – do you have a list of beers likely to be on including ABV’s please?